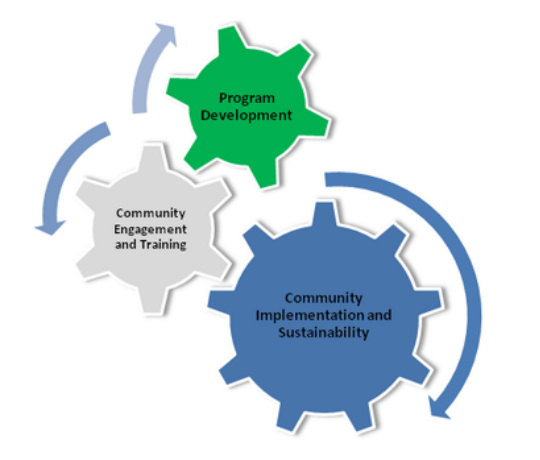 Community engagement is the focal point in which we implement projects. Its important that the community be involved in all aspects of the project, from survey work, well sighting, rehabilitations, formation of water and sanitation (WaSH) committees and proper health, hygiene promotion. The first point of engagement, to identify the local Churches and encourage Church members to participate in the WaSH committees. These WaSH committees will be empowered and trained to manage the water wells to ensure its proper use and maintenance. They will work with Local District Counsel to designate community members that Mariatu's Hope will train in hand pump repair and maintenance. Upon well completion they will be given a consumable part repair kit and the basic tools needed to perform routine maintenance and repairs. In the future when repairs are needed they will work through the Local District Counsel to purchase what ever is needed to maintain and ensure a sustainable safe water point. When ever possible Mariatu's Hope will use community members to implement the work. We have found through our experience, this to be the most successful way to achieve a sustainable program. It promotes community pride and ownership. Beginning January 2014 Mariatu's Hope will initiate a new strategy, shifting our focus from relief and rehabilitation to development. We will work with Government and Local City Counsel in developing a hand pump maintenance and repair program. This will include training local youth teams in hand pump maintenance and repair and help set up spare part networks. We are confident this approach will have a positive impact on sustainability of water sector projects and will also create jobs for the youth.